The clutch is the main problem with the car at the moment, so the first order of business was to have a look at the piston going into the master cylinder. A little bit easier than said as the pedal box cover was totally rusted up and the screw heads just failed, so we had to revert to drilling out the screws to release it. 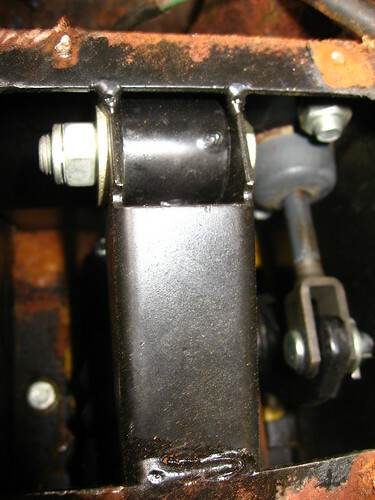 You can see the piston on the right in the photo, attached to the top of the pedal. The movement seemed fine here, with no visible leaks, so the next thing to look at was the slave cylinder. The bleed screw in the slave was totally dry which itself indicates a problem - especially as the master cylinder was full of fluid. I think this'll mean replacing the master cylinder as there must be something blocking it. There also seemed to be a bit of oil around the slave piston which could have been a leak.